Editor's Note: This is a user submission from Initiative Executor Sister Bliss, and is presented as it was submitted, with only minor spelling and grammar changes. 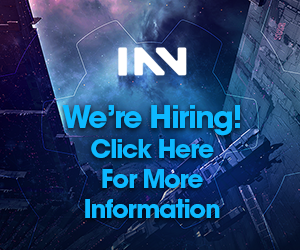 This post is an official statement on behalf of The Initiative [INIT.] to categorically deny any wrongdoing on the part of our pilots Brisc Rubal, Dark Shines and Pandoralica (‘the accused’) and refute the allegations made against them in the dev-blog posted by CCP Dopamine on April 8, 2019. Brisc Rubal has already issued his own statement, wherein he has confirmed that he has not broken any terms of the NDA and is seeking recourse to clear his name and reputation. In addition, having spoken to Dark Shines and Pandoralica, I can confirm to the best of my knowledge that neither has been in receipt of confidential information, nor have they undertaken any dialogue with Brisc Rubal or others which has thereafter been used to conduct illicit in-game transactions. Although the dev-blog cites “transparency”, there have been no details of the accusations and alleged transgressions communicated to any of the above parties by CCP or members of the CCP community team despite formal requests to do so. We have however, been reviewing all of the information presented in the dev blog and trying to work backwards to determine what, if anything, may have prompted these bans. In recent days we have been successful in opening up dialogue with CCP to review and appeal against the bans. These efforts are currently in-progress, and we will keep you abreast of any developments as they occur and that we are able to share publicly. We are optimistic that together with the CCP community team we will be able to resolve this matter in a professional manner, and have our pilots bans overturned and their reputation restored. My hope is that this incident is a mistake and am hopeful that once resolved, all parties can put this behind them with no residual acrimony. The Meta Show where this was covered was a treasure trove of information ( https://www.twitch.tv/videos/410604173 ). Really worth the watch. Given that almost a week ago CCP released a statement about Brisc and advised that they had the full support of the CSM things have gone remarkably quiet on their end. I know that if I had performed an investigation with irrefutable proof of wrong doing I would have been able to answer critics easily. Yet at this time CCP seem to be having trouble doing so. Any large alliance will be able to see all of their member in-game transactions. For Sister Bliss to make this statement is a clear indication of their belief that not all is as CCP have claimed. I am really looking forward to how this plays out. It should not be too much to ask that justice is not only done but also seen to be done. At this time I have no confidence that this is the case and I look forward to CCP alleviating my concerns. Honestly asking, canyou pls explain why you think Brisc, and the other two, are so much more credible over CCP? And of course Bliss will say thus, what did you expected? This statement is no proof or indication of anything. He even deleted part of his initial statement about fake news, what does that prove then? The part I removed was relevant to hostile propaganda which I had pinged out earlier in the week to our alliance members to be wary of. It has nothing to do with the actual event. I removed it due to individuals mis-representing it and the context within which it was mentioned. Hopefully that helps answers your question. No questions here. Its cool you care about your members but, if there’s a next time, be more coolheaded next time. You/they should have convo’d CCP privately and feel around for any explanation. Doubt CCP will overturn it now and look like morons after all this. Tbh, still dunno why CCP went public in the first place, probably because it involved a CSM. As far as i know that is what they did. I don’t think any of the accused people made any big statements since and it really is time for CCP to make a move. Interesting was the part where Sister Bliss said he will reveal what exactly happened no matter what but all at the right time. You mean like CCP did with their nice public blog announcement complete with accusations of unethical conduct? Thats just what I said, mate. I suspect that CCP looking like “morons” is a ship that has already sailed in this instance. They handled this incident differently from the more sensible approach that they have used in the past. If CCP is in error they can just go “oops” and undo the in-game harm easily. They can even undo the real life harm to Brisc. A party to a NDA can claim a breach but that means nothing until arbitration and/or judgement has taken place. With Brisc not being given any chance to defend himself prior to the very public statement by CCP I would argue that justice is not being served. I would even go so far as to say that the conduct on the part of CCP is an act of bad faith. Just my opinion of course. If this incident has any real lesson it is to never sign an NDA with CCP. And to keep your word if you do, of course. It’s not that hard. And, tbh, words like “arbitration” and “justice” dont exist in the ToS. As harsh and unfair as it MAY sound, CCP just terminated a few bytes of their own property. As the real world has shown time and time again ToS, NDAs and EULAs mean nothing until proven in a court of law. Typically such documents are overreaching and bias to a specific party. There is a reason that such documents have clear language in place that if an element of such documents is found to be invalid then the other elements remain in place. Else the whole document could be invalidated over a single trivial point. Commercial law 101. Its not till proven in cort of law. It is still they are disputed in the court of law, right? I’ve never heard of a user winning against a ToS, if you have examples pls share, I’m very curious. Here are 11 common reasons where and NDA can go wrong ( https://www.everynda.com/blog/11-ways-invalidate-nda/ ). A ToS and EULA are of course different documents to an NDA and in this instance it is the NDA under question. An NDA I should note I have not seen and am very unlikely to see. Have you seen the NDA? Google is your friend when it comes to this type of thing and the country where action is taken is key. But on the ToS side of things you may find this interesting ( https://www.nextadvisor.com/blog/how-enforceable-are-terms-of-service-agreements/ ) as it shows you exactly how a ToS can be unenforceable. I hope this helps you in your understanding. I remember someone mentioned it was pretty stingy in the EVE discord a few months ago? Aside of that, no. I’ve had friends in the CSM before, but that before the NDA existed, I think. I’ll ask around. I still feel that Brisc is just like any other bot sent to Doomheim, guilty unless proven otherwise. But thx for the read, and the discussion, of course. A botter would not have signed the NDA. Additionally CCP would not have released the name of botter in a public statement. Quite simply, not all bans are equal and this is one of those instances. But let me ask you a hypothetical question if I may. Imagine CSM members and CCP devs out for a meal in Iceland. They get a bit drunk and talk over the days events a bit loudly. I am sitting at a table near them. I am an Eve player but they do not know it. If I then act on information that I overhear during the course of my meal has anyone broken the NDA? This is only one example and there are many more scenarios possible where a NDA would not have been broken. You are welcome and I hope this has proven useful to you. Botters sign the ToS, which is how they can get banned. The NDA is the same thing, a way for CCP to terminate you fast if they have to. As for your example, no. They may later question you about it, but as they’ll have no evidence you colluded with a CSM member, no NDA broken and no one gets punished. Not really usefull, but it was interesting anyway. A ToS and a NDA are not the same thing. If they were the same thing they would have the same name, intent and content. CCP have not always been very honest with their players in the past. The exception perhaps. but certainly some incidents have been handled very poorly. If a thorough investigation had been conducted by CCP then surely it would be a trivial matter to say “we have done our investigation and we have evidence beyond reproach”. But instead there is nothing from CCP a week after. Personally I think that Brisc should have just kept his mouth shut and at most said that he did not agree with the assessment made by CCP. If you listen to the Meta Show there will be lots of examples of times that CCP did not get it right. Did you listen to the show? If you did listen then the question I have for you is, why do you trust CCP more than those who had everything to lose? Been playing for like 14 years, of course I know CCP sometimes fucked up. “Exceptions”? When they ban bots, do we complain they have not been given due process? That, once banned, CCP has to go public on their char names and say why they got banned? One by one? Maybe you think that because Brisc went rl public he is somehow exempt from a signed contract? That he is somehow different than any other of the tens of thousands of banned characters in the history of EVE Online? 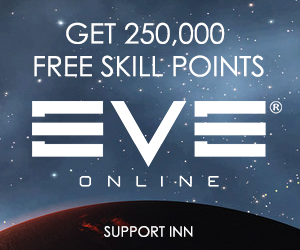 Do remember that ALL players sign one when playing EVE as well, mate. Yes, unless Brisc truly goes public and comment on why he got banned (he knows, three dudes got banned on same alliance, all 3 know why they got banned) or CCP decides to go public on how Brisc broke a signed contract, we’ll never know. But you know what? I also have not seen the evidence in why “RandomBot123” got banned as well, but I believed CCP did the right thing then when that char got sent to Doomheim. If the ban gets overturned or not, dunno. I’d like to say is its harsh, but we dunno why they got banned, so maybe its appropiate. I dont see any other CSM members commenting, at least they honouring their contracts. I sense that you still have not watched the Meta Show as some of what you say is clearly contradicted. But hey you are welcome to have your opinions despite having no evidence to support it. My main issue is that there was no need for CCP to make the statement that they did. Especially given that previous breaches by sitting CSM members were not handled in the same way. A bit of consistency does not seem a great deal to ask. Personally I am reserving my opinion on guilt or not until more evidence is present. Time will tell as to who is wrong or right. And you, as well, are welcome to have you own opinion even though you have evidence to support it, of course. I agree CCP should not have made the issue public as they did, but maybe they were forced to do so, you cant just dissapear a CSM member and give no explanation whatsoever. And, unless one of the other CSM decides to break his own NDA, you will never ever see any evidence about it. CCP wont discuss disciplinary actions, and Brisc wont admit any wrongdoing. So this topic is as dead as it can be, right? But I have evidence. The banning of Noobman and Manny was handled very differently. Brisc gets different treatment. That is not my opinion but simple fact. As for the guilt of any party involved, well I do not have access to the information. But what I can tell you is that if CCP had investigated this in a thorough manner then a delay in being able to back up their claim would be unnecessary. Additionally common courtesy on the part of CCP would have meant that Brisc would have had an opportunity to state his own case in private to CCP. Does that really seem too much to ask? That common courtesy died when Brisc implied legal actions on his reddit post. I assure you, it read like that. And if CCP is well represented, they will clamp down any info. And, tbh, why the common courtesy again? As I said before, Brisc is just one of tens of thousands of accounts sent to Doomheim for breaking a signed contract. Why is Brisc special? No, the common courtesy died when CCP failed to have a discussion with Brisc prior to plastering his name all over the internet. Brisc’s actions were as a direct consequence of the actions of CCP. I believe that given Brisc’s real life obligations he may have to report his supposed breach where it can impact on his real life. Again you are mixing up an NDA with an EULA. I have never signed any contract with CCP and likely nor have you. As for legal teams, well international law is a complex subject. But Brisc is qualified as are other members of Goons. They may have to brush up on Icelandic case law if necessary but they are well equipped to do so. But again all of that is realistically uncalled for given the circumstances of this case. It could have been settled as a very private matter. CCP chose to make it public. CCP plastered nothing, they never released his real name, thats his own thing. What we will have next time, botters demand to not be banned because they tied their own names to their accounts, thus hurting their good name in RL? Feel free to not consider it like that, but it is a sort of contract, and you agree to it, as everyone else, when you play the game. As for what Brisc will do or not, it doesnt matter. If he is smart, I suspect he’ll back off or discuss it privately with CCP. Hopefully they can arrange something, I’d hate to be forced off EVE that way myself, I imagine its the same for everyone else with friends in this game. And CCP chose to make it public because they coudnt dissapear a CSM member and pretend nothing happened, or so I guess. When Manny and Noobman were kicked from the CSM CCP only said something like “they are no longer part of the CSM and we thank them for their efforts”. But for Brisc it was “he broke our NDA”. The two are not the same and I am perplexed as to why you think that they are. CSM members are not the same as botters. CSM member sign an NDA and botters do not. Does that make sense? Additionally, can you show me where CCP has released the names of any botter being banned? As Sister Bliss has mentioned already, there are apparently discussions taking place with CCP and I for one hope that some common sense will prevail. But that is between CCP and those accused. Time will tell. Brisc is a real life lawyer, Mittens is a real life lawyer and I would be stunned if they are the only ones in Goons. I do know that Elise from PL is also a real life lawyer. Eve has plenty of professional people from many fields. I hope that clears that bit up for you. Never said there were no diff on Manny and Brisc. But we dont know why Brisc got banned, so why consider their cases equal? Once we know why Brisc got banned, then we can compare. Never said that botters were equal to CSM members. Nor that CCP released their names. But you seem to imply that because Brisc went public, he should be treated differently than any other account? So I said that botters should tie their own rl names to their account, thus eligible to threaten CCP if banned due to attacks on their names. I dont think time will tell anything, unless CCP backs down. If they dont, this just will be forgotten in a few weeks. Edut: and thx for clear that up, I had no idea. But, well, they decided to go public with that info, so its their choice at the end. We do know why Brisc was banned. CCP made it clear he broke the NDA. Different language was used from previous CSM bans by CCP. Have you even looked? There is no need to mention botters at all in this instance. You brought botters up, no one else has. Again I ask you to give me instances of where CCP has disclosed the names of characters banned for botting. You say “unless CCP backs down” but freely admit that CCP have made serious errors of judgement in the past. How about we just see how this unfolds? We dont know any specifics aside of that. Unless you know some thing I dont about this issue, we dont know what was even leaked, or even if there was something leaked in the first place. Diff language used proves nothing, one way or the other. Again, I dont understand why you ask that? Who cares? They have? They have not? As far as I know botters dont publicly reveal their names if caught, mine was an attempt to show on why CCP will not reverse a ban just because real life names are involved. Particularly if they are not the ones spreading that info. I consider it by the law of average. I want to believe they got it right many more times than they got it wrong. If CCP bans tens of thousands accounts for botting, and no one complains or asks for evidence, yet we all agree that is a good thing, why now is different? As you say, lets see how it plays out. Though I’m of the opinion that we’ll never again hear about this issue again, so I doubt we will. But ok, to that day then. May I suggest that you go back and read all that has been written. This time avoid even thinking about botters at all as it may help clarify things for you. Just think about CSM members, an NDA and the statements made by CCP. Alternatively we can all just wait and see what happens :-). Dont worry about me, all read and re-read. You and I just disagree on the value of Brisc compared to any other resident of Doomheim. Agreed to disagree and all that. canyou pls explain why you think Brisc, and the other two, are so much more credible over CCP?”Simple CCP has a long habbit of lying when it suits them, including times when they have claimed the CSM supports or prompter their actions only to have the CSM later come out and say that was not true. So we have to wait till one of the other CSM members break their signed contract as well to know the truth? Till then Brisc is innocent and should be unbanned? When this new CSM gets banned for breaking his contract, we hope for a third CSM members to break his to defend the 2nd one? or we could just not over-react and wait to hear what the results of the ban appeals are. Ban appeals? There’s no such things. But k.
Not entirely sure why anyone would trust the people with the most to lose by reputation and FC/leadership of the banning over CCP. Given CCP’s history, I agree they should be a little more transparent and given a little more, but the post announcing the ban is more than we’ve been given in the past. CSM’s silence over the matter is irrelevant considering NDA in cases like this, and the post itself was as respectful as you can be regarding a matter such as this. Sorry bros, gotta go with CCP on this one. As much as I want to see Init do well and retain my respect, I think this blatant attempt to save face for either your own members or Imperium as a whole is not respectable at all, and bad for the game due to the ramifications on the image of CCP, setting blame for them, no matter the outcome. I genuinely hope that appeals lessen the bans, but the amount of crying is sad. Whether NDA was broken intentionally or unintentionally is irrelevant because I think we all know where this discussion is going to go. CCP will give reason, and the response by Imperium and/or Init will be “We didnt know, omg I’m so sorry!” Either that, or pando and shines took advantage of Brisc’s ignorance of what he was talking about when discussing potential changes. Both of which still deserve a ban for all involved, and a permanent for NDA breakage for Brisc. Nice troll post – lol. How about this to fill out the options of speculation. CCP are found in a court of law to have been incorrect in their process and assessment. It turns out that CCP was metagamed by Panfam. This leads to a bunch of perma-bans for Panfam leadership and CCP decide to nuke all Panfam alliances. Meanwhile out of game CCP have to pay out massive damages to all those maligned. So much in damages that it affects Pearl Abyss’s bottom line that then impacts their shareholders. All to the degree where CCP is considered toxic. In the end CCP is sold to EA for a dollar, and we all know what EA do to games. I mean CCP are great guys and all that sort of thing but they messed up big time. I have no evidence of what I am saying and have not read a single thing about this instance. This is a pretty low effort and defensive response, moo. Honestly expected a little more intelligence in a response from you. You say that but let us review what is actually known. – CCP issued a statement where they declare Brisc broke an NDA. – CCP did not contact Brisc in seemingly any capacity to allow him an opportunity to address the allegations against him. – CCP did not treat Brisc in the same manner that they handled the Manny and Noobman incidents. – CCP have not been able to offer anything since as to why this treatment of Brisc is so different from other instances. – CCP has stated that the allegations levelled at Brisc have come from CSM members and offered nothing after that. If you had read my other comments on this you would note that I am only asking that we refrain from passing hasty and unsubstantiated public condemnation, until CCP and the other parties involved have had a chance to resolve their differences. To my mind your comment was based on subjective opinion and nothing else. If you actually have proof to back up your opinion then please do provide it. I am certain it will be well received by anyone looking for justice to be served and to be seen to be served. As for me, well I am happy for CCP and Brisc et al to work through this to some form of conclusion. At some point in the future we will find out exactly what happened. This post aged well. CCP has already started the back tracking with a new blog post stating they will apologize if it turns out they acted incorrectly to ban these players, meaning they never performed an investigation in the first place. An apology is certainly due for the handling of Brisc’s removal from the CSM. It should have been “Brisc no longer on the CSM and we thank them for their contribution”. As for the rest of it, well I cannot say as I do not have the information available to make such a judgement. But we only have a week to go to find out. What if this happend to you and you were a small nothing player with out a CEO and alliance to defend you. Would you be heard? – CCP never mentioned Brisc’s real life name. – It makes sense to not go full transparency concerning information about the game concerning changes that might have an impact on the market . It would probably behoove you to read the rest of my comments before firing off your own. Additionally I had hoped that my extreme and completely unfounded speculation would be taken in the spirit intended. That is to say that it was to act as a mechanism to have calmer and more thoughtful minds. I am still confident that something closer to the truth will come out in time. There has been some developments in this instance and we only need to wait another week to see what CCP will have to say.